We have a team of trained operatives that can deploy at short notice to respond to any tree related Emergency. 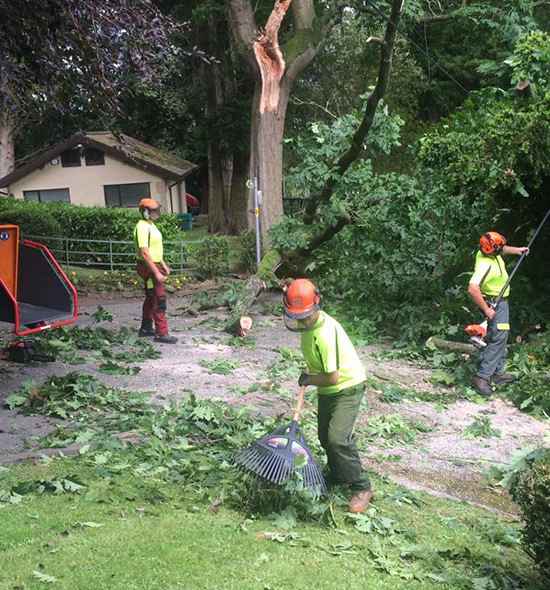 Axcess Tree Services provide a safe and efficient emergency tree removal or limb removal service. Windblown/fallen or storm damaged trees of any size can be cut and removed quickly and efficiently. Operatives are competent working safely along the roadside and emergency lighting is available on request allowing emergency removal of windblown trees adjacent to highways and during hours of darkness to be carried out quickly and safely. Our emergency tree service is available to all customers throughout Wrexham, Wirral, Ellesmere Port, Liverpool, Chester, Nantwich, Shrewsbury, Telford and all surrounding areas in Cheshire, Shropshire and North Wales.